It's never been easy to get youngsters interested in the ways of the old. It's become even more difficult in the face of new technologies, especially the all-consuming smartphone. So officials gathered in one Chinese province that's proved to be pretty good at getting children interested in tradition. They went away with some lessons to share. Some 150 deputies from departments of publicity, education and culture around the country gathered on Thursday in Wuhan, Hubei province. They discussed how to promote the popularity of local operas among elementary and middle school students, stressing the importance of engaging younger generations with this traditional art. Attendees concluded that every student should get the chance to watch a traditional opera show free of charge every year. Some 150 deputies from departments of publicity, education and culture around the country gathered on Thursday in Wuhan, Hubei province. "The work of our theatre has been divided into three parts: speech, teaching and performance. 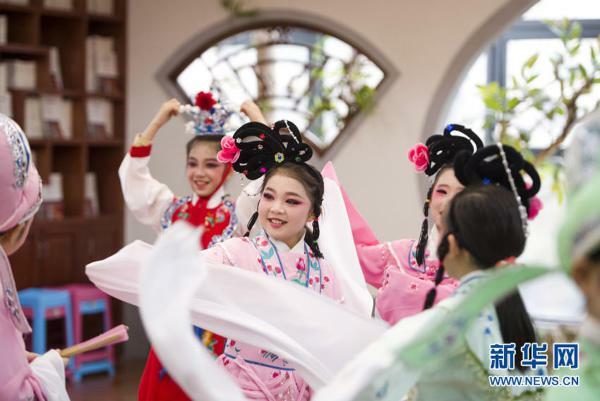 By the end of November this year, we had altogether held about 146 activities of these kinds," said Wu Jinliang, actor of Hubei Provincial Opera Arts Theater. Hubei province excels at preserving traditional arts, boasting 32 local operas. Opera artists have often been invited to schools to communicate with students and teachers. Traditional opera classes are taught in more than 80 percent of its elementary and middle schools. More than 66-hundred opera shows have been performed on campuses this year. And that is widely applauded by students and parents. "In this way we've had a taste of the traditional beauty of China," said student of N0.71 Middle School. 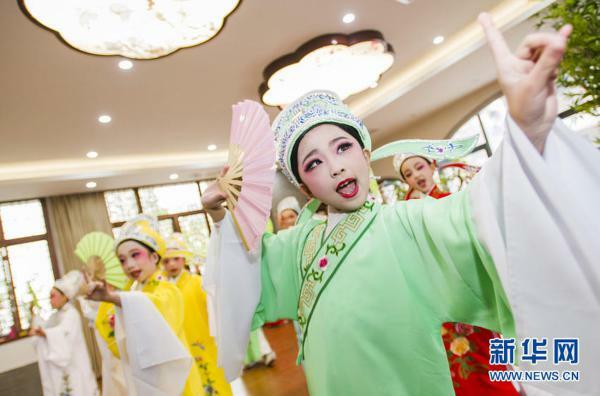 Hubei province excels at preserving traditional arts, boasting 32 local operas. Opera artists have often been invited to schools to communicate with students and teachers. "At first I was afraid these activities could be a distract from study. Now I see that our children have benefited a lot from them," said Zhao Hannian, parent of N0.71 Middle School. Attendees of Thursday's meeting said other parts of the country could learn some lessons from Hubei province's experiences. 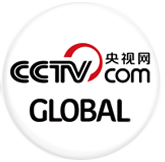 They hope to see students all over China obtain access to the art of traditional operas by the end of 2018.